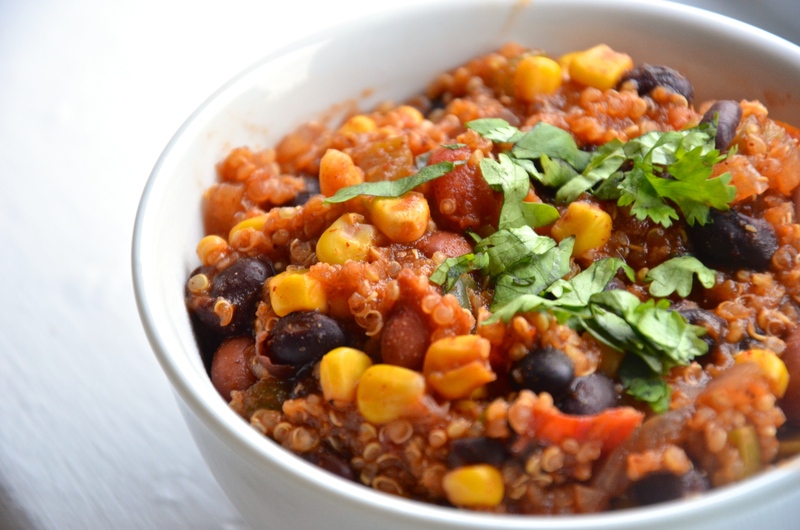 This vegan quinoa chili has become a common dinner – easy to pull together, and makes great leftovers [plus 17 grams of protein per serving]- it’s hard not to love it. My meat-eating boyfriend devours this, apparently not missing the meat. Head on over to DailyBurn for the recipe.